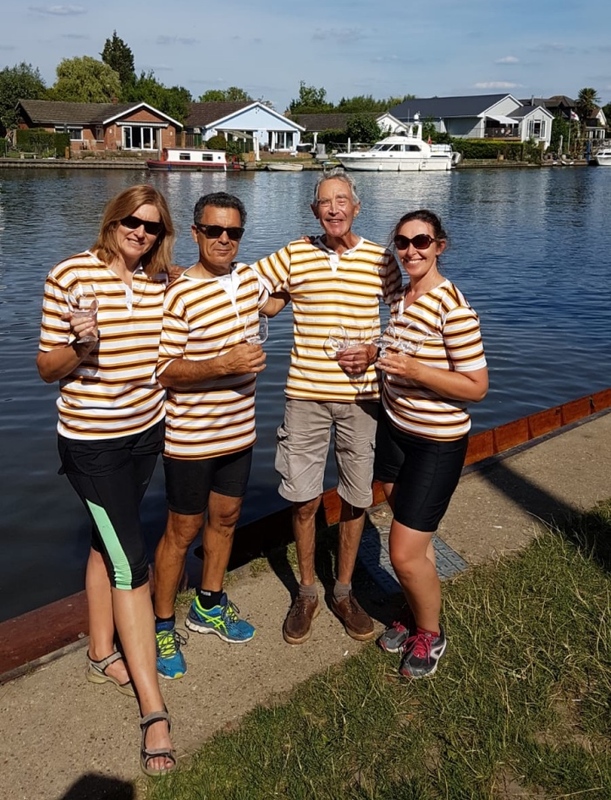 The Wraysbury and Old Windsor Regatta took place on another hot and sunny summer’s day on the River Thames at Wraysbury Skiff and Punting Club over a 360 metre downstream course on the Surrey side of the river to finish at the clubhouse. Riley and Miranda nearly won the MDH race, being less than half a length behind the winners in the higher category event. 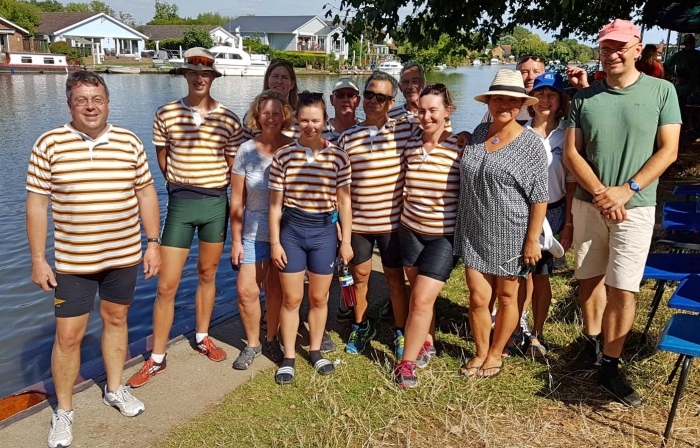 There was much close racing with good back-up for the winners from all other crews who tired out the opposition to soften them up for the finals. 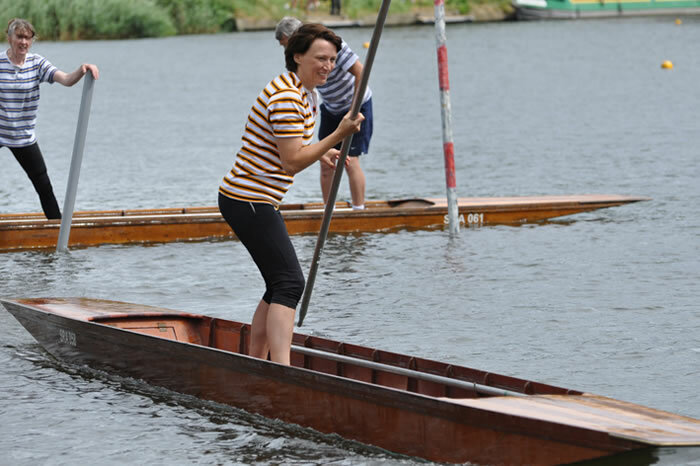 The course had enough deviations to make singles races tricky to avoid taking in both Berkshire and Surrey sides of the river with much white flag waving by the umpires to keep all on the straight and narrow. Sometimes taking the scenic route didn’t prevent a win. We were all grateful for the shade of the large weeping willow tree which prevented much sunburn.